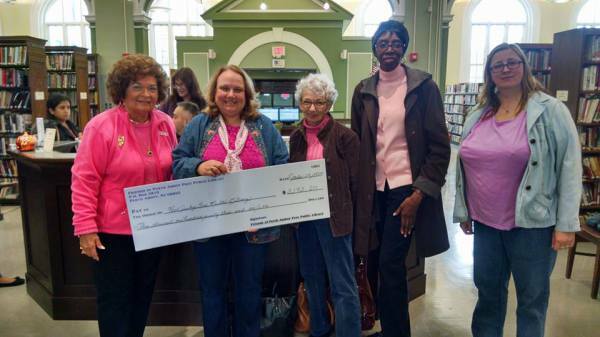 Friends groups are an alliance of business leaders, community leaders, civic leaders, library users and citizens, just like you, who are dedicated to the continuting mission of support to Free Public Libraries. The purpose of the Friends of the Perth Amboy Free Public Libary is to focus attention on library services, facilities, and needs, to encourage donations, gifts, endowments, and bequests to the library, thereby stimulating increased usage and enhancement of library resources and services, thus helping enrich the lives of the local community. It also promotes literacy through activities that instill education and learning. We Meet at the Perth Amboy Library Children's section located at 196 Jefferson Street in Perth Amboy, NJ. Please visit our events tab for more info or don't hesitate to contact us. View our media which includes Videos, and pictures. Also, we invite you to follow us on Facebook. As early as 1825, efforts were made to initiate a Library in Perth Amboy, New Jersey. In that year, a number of citizens bought stock and became subscribers to the Perth Amboy Library Company. The Company disbanded in 1835 and the book collection was scattered. Fifty years later, in 1888, a group of citizens formed the Perth Amboy Library Association. It was through their tireless efforts that in 1891, the Library became incorporated under State Law, and in 1896, was established as the Perth Amboy Free Public Library, under Municipal support. From 1888, the Library has been housed in five different buildings. Our Library was built on its present site on Jefferson Street, in 1901, on land donated by J. C. Mc Coy, of the Raritan Copper Works and constructed with the aid of a $20,000 grant from the Andrew Carnegie Foundation, a $1,000 donation from Adolph Lewisohn to purchase new books, and an agreement by the City to provide for the Library’s upkeep. 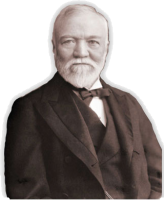 On December 9, 1903, the building, the first in New Jersey to be the beneficiary of Mr. Carnegie’s generosity, was opened to the Public. The growth of the Library from that time was so marked, that in 1914, the Carnegie Corporation donated an additional $30,000 for the creation of two reading rooms. A Children’s Library was built in 1925, unfortunately destroyed by fire in 1977, and was not rebuilt. The present Children’s Library is located in the basement of our building, in an area formerly used as a meeting room and theater. A branch Library was established in the Shull School building in 1925 and closed decades later when the school system required additional room for classroom use. From its modest start in 1903, the Perth Amboy Free Public Library has grown to become an integral part of the community, and is used for research not only by our citizens, but also by any resident of New Jersey. In addition, our Library receives frequent inquiries from international residents who desire local information. Today, the Perth Amboy Free Public Library consists of one facility, located in the heart of the city, where we serve a majority of our population on a regular and frequent basis. Ideas are among the most powerful of human forces and knowledge is an essential tool for modern living. Since access to these ideas and this knowledge through written, audio, visual and electronic media are significant, it is the mission of the Perth Amboy Free Public Library to serve all the people of Perth Amboy equally and impartially to the best of our ability. Toward that end, the library seeks, as a supplement to formal education, to purchase and retain the best and useful resources to meet the information needs of the entire community. Learning is fun. Volunteers and members of our group take time to share our love of reading with both children and adults. 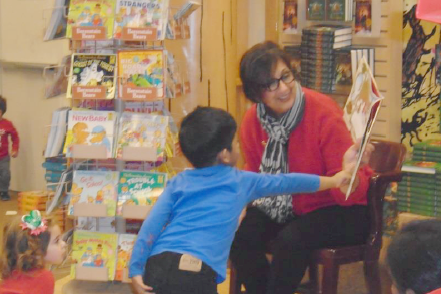 We have reading time with children at the Barnes and Noble Book Fair to encourage participation in reading for fun. We have many other events in our community and encourage you to join us. "I cannot live without books; but fewer will suffice where amusement, and not use, is the only future object." "The very existence of libraries affords the best evidence that we may yet have hope for the future of man."